Moore babies: 45 days until Christmas! It's time for Holiday Cards! 45 days until Christmas! 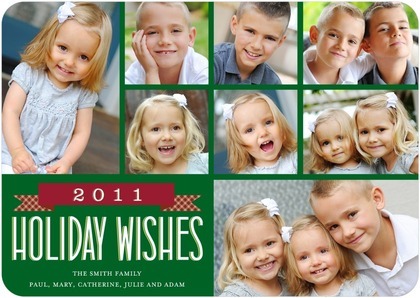 It's time for Holiday Cards! 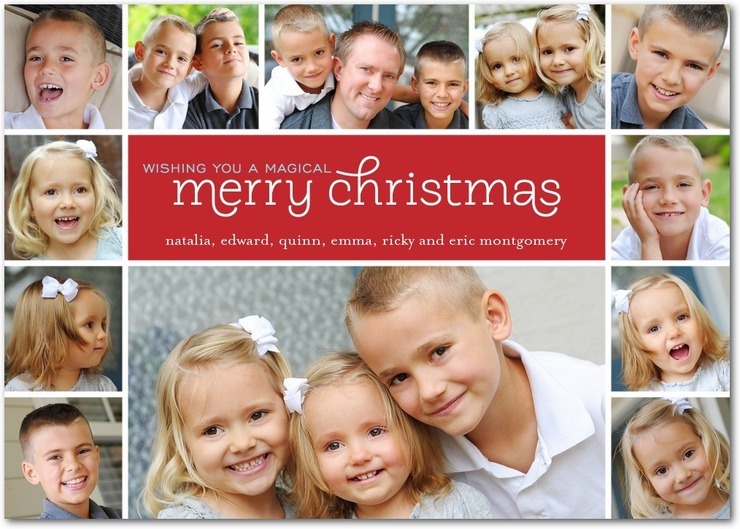 There's only 45 days until Christmas (as of 8:00am, November 9, 2011)! 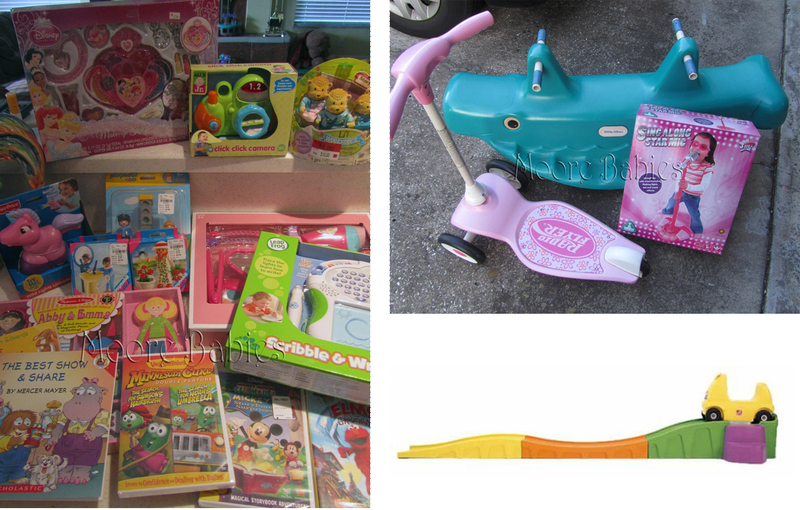 Thank you sales, consignment, birthdays, & craigslist!! PS - We may be holding a few toys back for Charlotte's birthday. I'm pretty sure I'm done with my daughters! I only have a few more gifts left to get, SWEET! 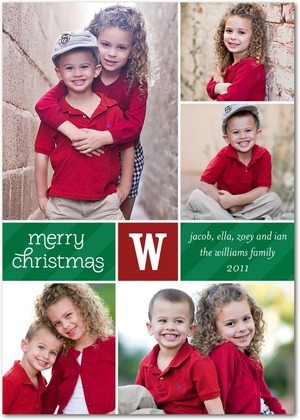 Now it's time for the Christmas cards. For the past 15 years (or so), my family has been mailing out photo collages. At the beginning they were literal collages (you know, like taking actual 4x6 photos and trimming around the people and fitting them together) color copies and inserted into store bought Christmas cards. We did collages because between the 5 of us, there was so much to share about the year (graduations, proms, dances, sports, family trips, etc). Mom even included a caption to describe what each picture was. Once I got married, I continued on the tradition of the photo collage (see *unfinished* collage to the left; I couldn't find my final copy), however things have gotten MUCH easier now. Speaking of which... have you heard of Tiny prints? They have got to have the cutest cards out there. 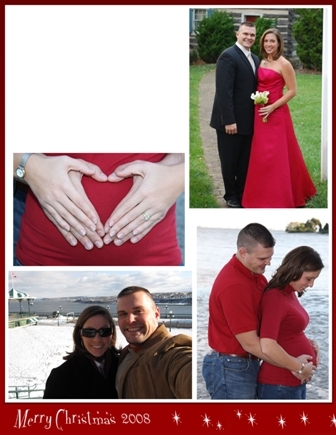 In fact, I used Tiny Prints for my daughters birth announcements (I got so many compliments on them!). LOVE this one! Simple. Classic. Adorable! This is just so whimsical and fun! Just gorgeous! I love the snow flakes! I must say, these cards are so much easier than the original cut, paste, color-copy OR when I attempted to make the collages myself. I love how simple it is to add your pictures to the cards. 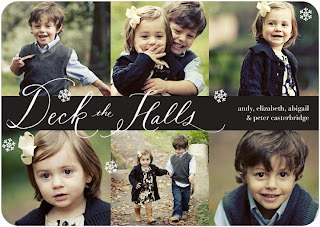 Head on over to Tiny Prints to see their 2011 Holiday line. Find Tiny Prints on facebook for special deals and offers. 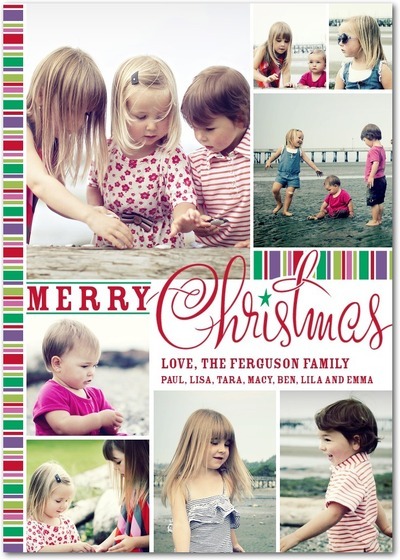 If you would like the chance to write a post featuring Tiny Prints Christmas or holiday cards in exchange for 50 cards from the 2011 line, visit here. I LOVE the snowflake one! I may just have to get some of those for us! Thanks for posting.